LOS ANGELES: Authorities Tighten Subway Security After Terror Alert From Foreign Government [VIDEO] - Joe.My.God. Los Angeles subway commuters were met by heavily armed deputies and bag searches Tuesday as authorities responded to a report of a possible terrorist attack on the Metro Red Line’s Universal City station. Increased security was visible across the Los Angeles County transit system as the FBI, LAPD and Sheriff’s Department dealt with what they characterized as imminent threat of unknown credibility following a report from an overseas tip line. An anonymous man warned of a potential attack on Tuesday and provided the information on a tip line abroad, officials said. 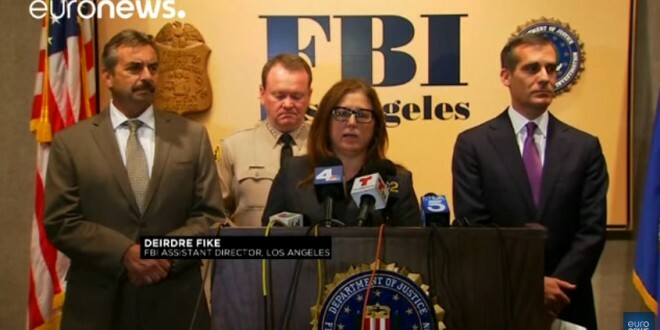 The tip line was run by an unidentified foreign government, which relayed the information Monday morning to an FBI terrorism task force, according to Deirdre Fike, the assistant director in charge of the FBI’s office in Los Angeles. She declined to specify from which country the tip originated but said it was delivered in English.